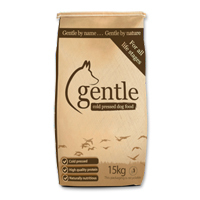 We all want the best for our pets, including their food. After all, “they are what they eat”. Cats are obligate carnivores. You can tell by their physique, sharp teeth and short digestive tract that they are designed to hunt and eat meat. 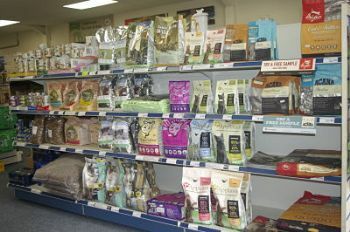 When it comes to choosing a cat food we all need to look hard at those processed products and really think about the ingredients they use, how they are made – and why they look like they do. Most people do not realize what they may actually be feeding to their beloved family pet. Turn the bag over and find out what you are feeding your cats. Some commercial foods contain a high percentage of fillers, such as cereals, grains, and soya which your cat simply isn't designed to eat. ‘Meat and Animal Derivatives’ are also best avoided as they can be, “Any part of Any warm blooded animal passed as fit for human consumption at time of slaughter, in the EU”. So even if a wet or dry food is labeled as “with Chicken” only 4% of the meat may actually be chicken, leaving 96% of who knows what. Many foods containing these derivatives also have added Sugar which helps to brown all the different meats to the same colour. Obviously this isn’t at all good for your cats health. Look for foods with clear labeling and check out that ingredient list. (Often referred to as the ‘Composition’). Good quality, named meat sources should be the first ingredients followed by some healthy additions such as cranberry, yucca and seaweed. 80% total meat content is a good figure to aim at for wet or dry foods. Do Not assume that well known or expensive brands are good! Avoid cereals, soya, derivatives, colours and sugar which can lead to health problems. Do high meat content foods cost more? They may cost more per kilo or per pouch but the feeding guides are lower which mean the cost per day is usually about the same, not to mention fewer visits to the Vets. 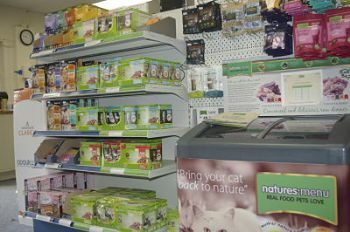 Dry foods provide the most cost effective way to feed a cat. Unfortunately unlike dogs, cats are unable to properly regulate their water. Cats that are fed only a dry food will always be in a state of mild dehydration. Wet foods are a little more costly to feed alone but do provide much needed moisture. There are a few Raw cat foods on the market which can be simply thawed and served. Raw diets closely match a cat’s natural diet and the health benefits of feeding them are huge, including clean teeth, clean ears, healthy skin and coat, healthy digestion and less smelly poos! It’s not about feeding a gourmet style diet. It’s about feeding an appropriate diet for your pet.